Welcome to my Summer Ready: Body edition. It'll be following along the same lines as my Summer Ready: Legs post but with more of a focus on your entire body and products that can help get you ready for summer as a whole. The first thing I usually do when the Summer months start rolling along is get myself a new fragrance. There's something nice about having a lighter, fresher fragrance to carry you through summer and this Rosie For Autograph* perfume is basically the absolute dream and so affordable too! It's floral, light, fresh and has a 'classic' kind of scent and I've been reaching for it every single day since it fell through my letterbox! 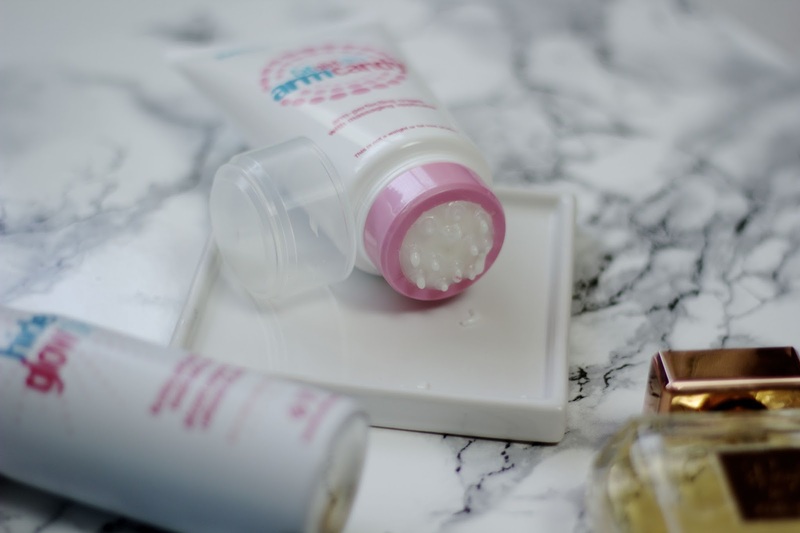 This year, I've found myself on the look out for all sorts of 'body perfectors' whether it's a mitt or a cream, I'm down for trying it and my current products worth a trial are part of Bliss's fatgirlslim range. The first, is their 'Arm Candy' perfecting cream*, which has a really bizarre - but awesome- massaging applicator on the end. You use the product dispenser/applicator to massage the product into your skin in circular motions and it's meant to reduce redness and create a firmer and more toned appearance. For me, this is a bit of a life saver as I absolutely hate my arms. They're always red and bingo-wingy despite trying to tone them up and I'll jump on the bandwagon with anything that's going to help them look a little better. The product itself is cooling and soothing, definitely reduces redness (Finally! WAHEYY!) and my skin does look smoother and a little more toned! My arms feel all smooth like a dolphin and I can't wait to see the results over a longer period of time. I've also been trying their 'Hide & Glow Sleek' tinted body spray* which is meant to firm your skin as well as adding a bit of luminosity. As you can see from the image above, the tone of the spray isn't orange based which makes me do little jumps of joy because I'm not exactly a tanning pro and any kind of spray with colour pay off fills me with dread. Over time it's meant to reduce the appearance of cellulite (winner) but if you're after more of a quick fix, then it also evens out skin tone and makes everything look a bit more.. 'smooth'. And let's be real.. I'm down with smooth. 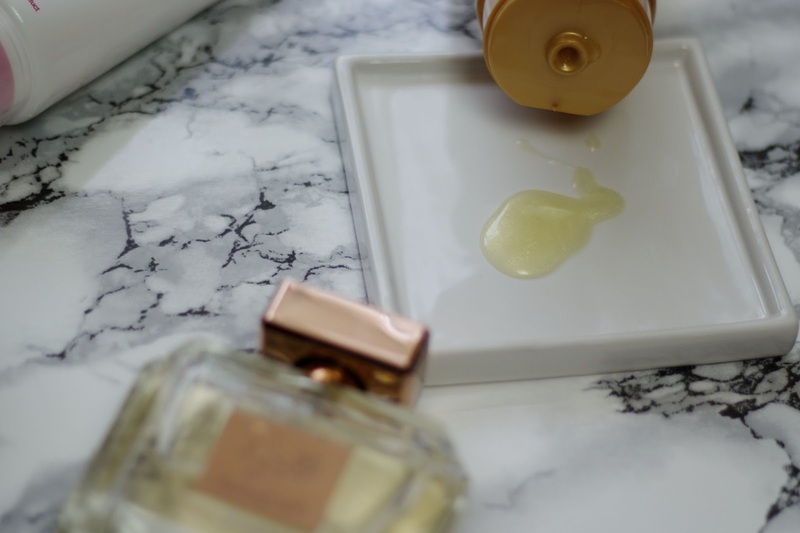 I'm also all about adding a small amount of oil and shimmer to my skin and as I'm more into 'minimal shimmer' than 'maximum glitter' I've been opting for the Nuxe Shower Oil with golden shimmer. * (Surprisingly, I'm not being paid to say shimmer as many times as possible in one sentence) I've been really getting into shower oils recently and this one is the perfect satiny texture that leaves your skin moisturised as well as cleansed. I can't stand in-shower oils that don't really cleanse as it all adds onto the ridiculous time that I take to get ready anyway so a product that can do both is something I can get down with. This one also smells bloody amazing and despite not really noticing too much shimmer going on post-shower, it makes that moment of body cleansing a little more luxurious. Brb whilst I go wash myself in this again. Another great cleansing product, and a great one for shaving with IMO is the Rituals Hamman Delight foaming shower gel*. It's scent is one that I didn't think I'd like but have grown to love as it's quite strong and just smells so natural and 'herby'? Okay, so I'm officially the worst at describing smells but it's the best I can do I'm afraid. When I get a whiff of it up my nostrils and close my eyes I can imagine myself in a far away place surrounded by trees and waterfalls and jungle creatures and basically? I like it. It comes in a set along with a body cream and a scrub too so it would also be a perfect gift for holiday season. The body cream* is a really nice mousturiser that's fragranced with fig & rice milk and also has that whole natural vibe going on. It's rich and creamy, isn't sticky and sinks into the skin within seconds. My kinda mousturiser. 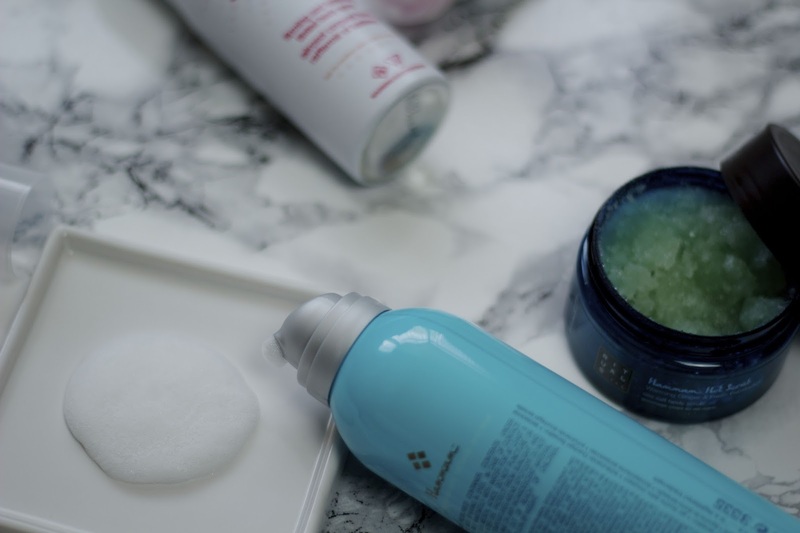 I'm also all about exfoliating during the summer months as you'll already know from my Summer Ready: Legs post, but since then I've also discovered yet another scrub which I'm downright into and love using on my arms, and across my chest near my collarbones where I occasionally get break-outs. 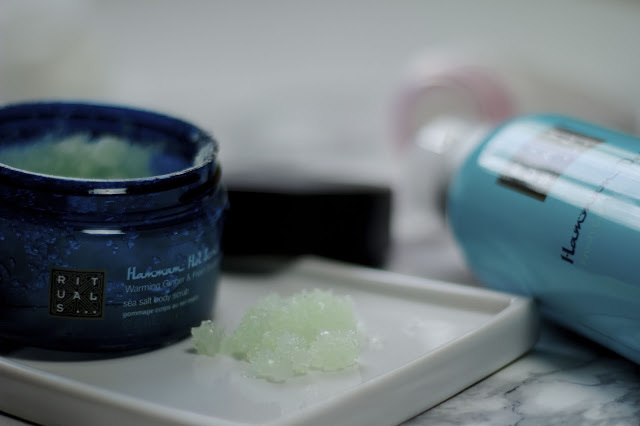 This Rituals 'Warming Ginger & Fresh Eucalyptus' sea salt body scrub* is like nothing I've ever tried (or smelt) before. It's scent is really strong and a good whiff would probably clear any congestion you've got going on.. it's that kind of smell which I guess is probably a love or hate thing. It's not a scent that I'd go for in a body spray but as a salt scrub it works amazingly and once you're all done getting your wash on, the scent really mellows leaving a really subtle 'I'm super clean' smell which is something I love in the Summer. 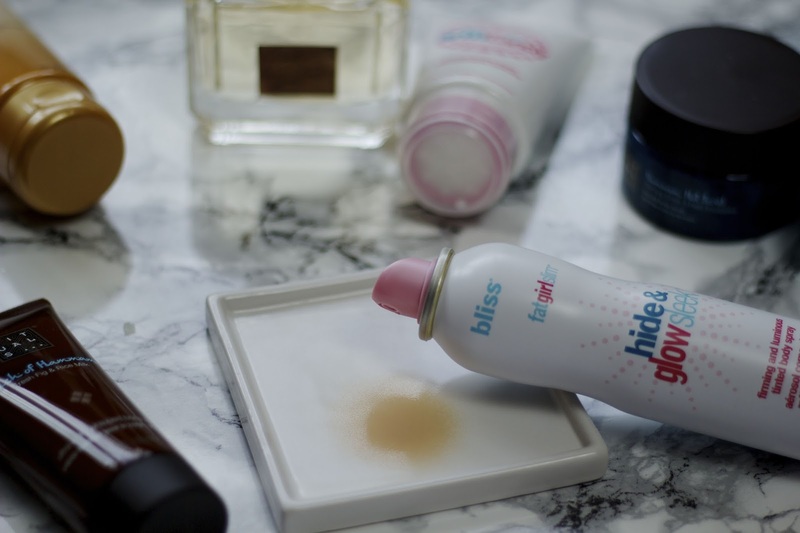 All of these products can be picked up in good old Marks & Spencer which is currently my new beauty product hang-out since discovering lots of amazing products and finding out that it's home to Stila cosmetics. See you down there? Do you have any tips for getting Summer Ready? What are your go-to products? Stay tuned for my Summer Ready Face & Hair tips, lots more lovely products comin' your way! These sounds like really great products! That rituals set is my absolute FAVE, it's so fresh and minty! I love the look of the Rosie scent! Been looking for a new fragrance as I have literally zero perfumes at the moment. Love the sound of the Hide & Glow sleek! I never think to check out M&S for beauty products but they seem to have a great range! I LOVE the sound of the exfoliator - bring that nasal-cleansing goodness to me! I want my arms to feel like a dolphin's too, I need that arm candy perfecting cream, I have the worst upper arms and I didn't realise until closer inspection how bingo wingy they are! YUCK! 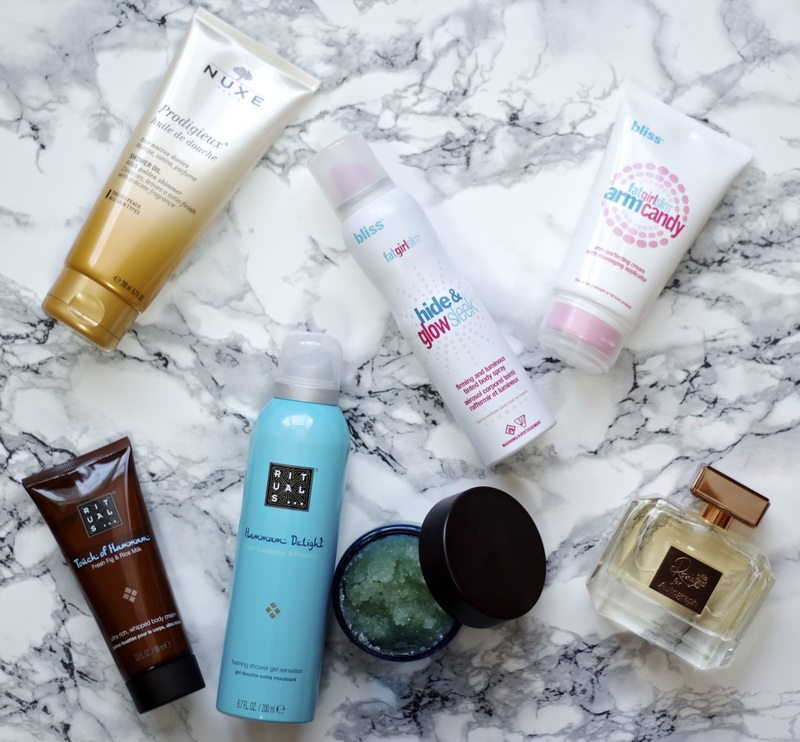 Oh & that Rituals body scrubs sounds amazing! I have zero tips because I genuinely hate summer! (oops) But I do now want all these products! What's In My Asos Basket?